Farmers should be careful to dispose of their waste plastic in accordance with the law or risk huge fines, following the conviction of a business in Oxfordshire. Since 2006 farmers have been required to dispose of their waste plastic through a licensed business, yet many are still illegally burying or burning waste on-farm, or unwittingly using unlicensed carriers, says Mark Webb, director of recycling firm Farm XS. Mr Webb’s warning comes after a business in Oxfordshire was fined £20,000 plus costs for illegally storing, treating and burning waste at Chowle Farm, Faringdon. The firm was prosecuted for operating a skip hire business illegally from the site, and allowing the disposal of large quantities of tyres. For more information visit www.farmxs.com or call Catherine Elmes on 01793 842062. Farm XS was founded by four firms of agricultural valuers in 2006. It is now owned and run by WebbPaton Chartered Surveyors based in Wiltshire. Our directors are both active land agents and Fellows of the Central Association of Agricultural Valuers; we are the professionals in rural recycling. Our professional backgrounds mean we are in a unique position to understand the problems farmers face and to solve their problems. 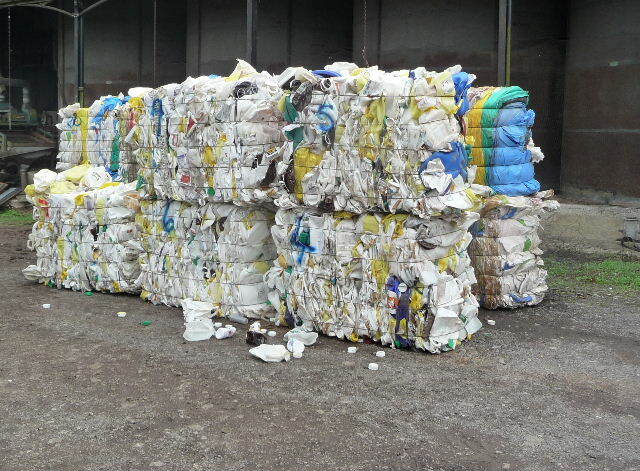 Farm XS takes all types of farm plastic and cardboard, and certain kinds of hazardous farm waste. It is mostly recycled in the UK into moulded plastics and fleece. We have about 1800 farmer members. For further information or media enquiries contact Olivia Cooper on 01392 840009 or e-mail [email protected].